Delmonico Red Pearl Coat exterior, Tradesman trim. ..4X4....BACK-UP CAMERA....IPOD/MP3 INPUT.. Turbo, ENGINE: 6.7L I6 CUMMINS TURBO DIESEL, POPULAR EQUIPMENT GROUP, TRANSMISSION: 6-SPEED MANUAL G56, RADIO: UCONNECT 3 W/5 DISPLAY KEY FEATURES INCLUDE . 4X4. BACK-UP CAMERA. IPOD/MP3 INPUT. TRAILER HITCH. PRIVACY GLASS, CHILD SAFETY LOCKS, HEATED MIRRORS, ELECTRONIC STABILITY CONTROL, ELECTROCHROMIC REARVIEW MIRROR. OPTION PACKAGES ENGINE: 6.7L I6 CUMMINS TURBO DIESEL Cummins Turbo Diesel Badge, GVWR: 12,300 lbs, Current Generation Engine Controller, Diesel Exhaust Brake, Selective Catalytic Reduction (Urea), 180 Amp Alternator, RAM Active Air, DUAL REAR WHEELS Tires: LT235/80R17E BSW AS, Wheels: 17 x 6.0 Steel Argent, Clearance Lamps, Tire Pressure Monitoring Delete, 17 Steel Spare Wheel, 6000# Front Axle w/Hub Ext, Box & Rear Fender Clearance Lamps, RADIO: UCONNECT 3 W/5 DISPLAY 5.0 Touchscreen Display, Overhead Console, GPS Antenna Input, Temperature & Compass Gauge, Integrated Voice Command w/Bluetooth, Remote USB Port - Charge Only, SiriusXM Satellite Radio, For More Info, Call 800-643-2112, 1-Year SiriusXM Radio Service, POPULAR EQUIPMENT GROUP Remote Keyless Entry, Carpet Floor Covering, Front & Rear Floor Mats, SiriusXM Satellite Radio, For More Info, Call 800-643-2112, 1-Year SiriusXM Radio Service, PARKSENSE REAR PARK ASSIST SYSTEM, TRANSMISSION: 6-SPEED MANUAL G56 3.42 Axle Ratio. EXPERTS ARE SAYING KBB.com explains When it comes to ability, Ram's heavy-duty 2018 2500/3500 HD pickup trucks have more than enough muscle to back up their bold and rugged appearance.. MORE ABOUT US For over 35 years John Vance Auto Group has been a comfortable place to buy a car. Serving the Oklahoma City metro area and with 11 domestic makes to choose from we are sure you can find the next car All prices include all applicable rebates and incentives. Please confirm the accuracy of the included equipment by calling us prior to purchase. Tradesman trim, Bright White Clear Coat exterior. ..BACK-UP CAMERA....IPOD/MP3 INPUT....BLUETOOTH....4X4.. ENGINE: 6.7L I6 CUMMINS TURBO DIESEL, TRANSMISSION: 6-SPEED AUTOMATIC 68RFE... TRADESMAN LEVEL 1 EQUIPMENT GROUP. KEY FEATURES INCLUDE . 4X4. BACK-UP CAMERA. IPOD/MP3 INPUT. BLUETOOTH. TRAILER HITCH. MP3 PLAYER, PRIVACY GLASS, CHILD SAFETY LOCKS, ELECTRONIC STABILITY CONTROL, HEATED MIRRORS. OPTION PACKAGES ENGINE: 6.7L I6 CUMMINS TURBO DIESEL GVWR: 12,300 lbs, Current Generation Engine Controller, Diesel Exhaust Brake, RAM Active Air, Heavy Duty Engine Cooling, Capless Fuel Fill w/o Discriminator, Cummins Turbo Diesel Badge, Dual 730 Amp Maintenance Free Batteries, Supplemental Heater, Selective Catalytic Reduction (Urea), DUAL REAR WHEELS Tires: LT235/80R17E BSW AS, GVWR: 14,000 lbs, Rear Wheelhouse Liners, Wheels: 17 x 6.0 Steel Argent, Clearance Lamps, Tire Pressure Monitoring Delete, 17 Steel Spare Wheel, 6000# Front Axle w/Hub Ext, Box & Rear Fender Clearance Lamps, PARKSENSE REAR PARK ASSIST SYSTEM, TRADESMAN LEVEL 1 EQUIPMENT GROUP Remote Keyless Entry, Satin Chrome Interior Door Handles, TRANSMISSION: 6-SPEED AUTOMATIC 68RFE Urethane Shift Knob. WHY BUY FROM US For over 35 years John Vance Auto Group has been a comfortable place to buy a car. Serving the Oklahoma City metro area and with 11 domestic makes to choose from we are sure you can find the next car, truck or SUV of your dreams. 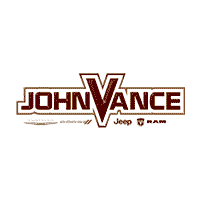 The John Vance Auto Group is located just minutes north of Oklahoma City in Guthrie, OK on I-35 exit 153. Come see why the John Vance Auto Group is a comfortable place to buy a car. All prices include all applicable rebates and incentives. Please confirm the accuracy of the included equipment by calling us prior to purchase. Tradesman trim, Bright White Clear Coat exterior. ..BACK-UP CAMERA....IPOD/MP3 INPUT....BLUETOOTH....4X4.. ENGINE: 6.7L I6 CUMMINS TURBO DIESEL, TRANSMISSION: 6-SPEED AUTOMATIC 68RFE... TRADESMAN LEVEL 1 EQUIPMENT GROUP KEY FEATURES INCLUDE . 4X4. BACK-UP CAMERA. IPOD/MP3 INPUT. BLUETOOTH. TRAILER HITCH. MP3 PLAYER, PRIVACY GLASS, CHILD SAFETY LOCKS, ELECTRONIC STABILITY CONTROL, HEATED MIRRORS. OPTION PACKAGES ENGINE: 6.7L I6 CUMMINS TURBO DIESEL GVWR: 12,300 lbs, Current Generation Engine Controller, Diesel Exhaust Brake, RAM Active Air, Heavy Duty Engine Cooling, Capless Fuel Fill w/o Discriminator, Cummins Turbo Diesel Badge, Dual 730 Amp Maintenance Free Batteries, Supplemental Heater, Selective Catalytic Reduction (Urea), DUAL REAR WHEELS Tires: LT235/80R17E BSW AS, GVWR: 14,000 lbs, Rear Wheelhouse Liners, Wheels: 17 x 6.0 Steel Argent, Clearance Lamps, Tire Pressure Monitoring Delete, 17 Steel Spare Wheel, 6000# Front Axle w/Hub Ext, Box & Rear Fender Clearance Lamps, PARKSENSE REAR PARK ASSIST SYSTEM, TRADESMAN LEVEL 1 EQUIPMENT GROUP Remote Keyless Entry, Satin Chrome Interior Door Handles, TRANSMISSION: 6-SPEED AUTOMATIC 68RFE Urethane Shift Knob. VISIT US TODAY For over 35 years John Vance Auto Group has been a comfortable place to buy a car. Serving the Oklahoma City metro area and with 11 domestic makes to choose from we are sure you can find the next car, truck or SUV of your dreams. The John Vance Auto Group is located just minutes north of Oklahoma City in Guthrie, OK on I-35 exit 153. Come see why the John Vance Auto Group is a comfortable place to buy a car. All prices include all applicable rebates and incentives. Please confirm the accuracy of the included equipment by calling us prior to purchase. Diamond Black Crystal P/C exterior, Big Horn trim. ..4X4....BACK-UP CAMERA....IPOD/MP3 INPUT.. ENGINE: 6.7L I6 CUMMINS TURBO DIESEL, TRANSMISSION: 6-SPEED AUTOMATIC 68RFE... BIG HORN LEVEL 1 EQUIPMENT GROUP, DUAL REAR WHEELS KEY FEATURES INCLUDE . 4X4. BACK-UP CAMERA. IPOD/MP3 INPUT. TRAILER HITCH. MP3 PLAYER, KEYLESS ENTRY, PRIVACY GLASS, CHILD SAFETY LOCKS, ELECTRONIC STABILITY CONTROL. OPTION PACKAGES ENGINE: 6.7L I6 CUMMINS TURBO DIESEL GVWR: 12,300 lbs, Current Generation Engine Controller, Diesel Exhaust Brake, RAM Active Air, Heavy Duty Engine Cooling, Capless Fuel Fill w/o Discriminator, Cummins Turbo Diesel Badge, Dual 730 Amp Maintenance Free Batteries, Supplemental Heater, Selective Catalytic Reduction (Urea), BIG HORN LEVEL 1 EQUIPMENT GROUP Steering Wheel Mounted Audio Controls, Sun Visors w/Illuminated Vanity Mirrors, Footwell Courtesy Lamp, Glove Box Lamp, Integrated Center Stack Radio, Leather Wrapped Steering Wheel, Power Adjustable Folding Heated Black Tow Mirrors, 2nd Row In Floor Storage Bins, Power Adjustable Pedals, Foam Bottle Insert (Door Trim Panel), Google Android Auto, Front Fog Lamps, For More Info, Call 800-643-2112, Radio: Uconnect 4 w/8.4 Display, Dual Glove Boxes, Rear Dome w/On/Off Switch Lamp, Universal Garage Door Opener, Rear View Auto Dim Mirror, 8.4 Touchscreen Display, Locking Lower Glove Box, Apple CarPlay, Power-Folding Mirrors, Wheels: 18 x 8.0 Polished Aluminum, DUAL REAR WHEELS Tires: LT235/80R17E BSW AS, GVWR: 14,000 lbs, Bright Wheel Skins, Rear Wheelhouse Liners, Wheels: 17 x 6.0 Steel Chrome Clad, Clearance Lamps, Tire Pressure Monitoring Delete, 17 Steel Spare Wheel, 6000# Front Axle w/Hub Ext, Box & Rear Fender Clearance Lamps, REMOTE START SYSTEM, TRANSMISSION: 6-SPEED AUTOMATIC 68RFE Chrome Accent Shift Knob. All prices include all applicable rebates and incentives. Please confirm the accuracy of the included equipment by calling us prior to purchase. Big Horn trim, Granite Crystal Met. Clear Coat exterior. Turbo Charged..4X4.. TRANSMISSION: 6-SPEED AUTOMATIC 68RFE... BIG HORN LEVEL 2 EQUIPMENT GROUP, TOWING TECHNOLOGY GROUP, Trailer Hitch, DUAL REAR WHEELS. KEY FEATURES INCLUDE . 4X4. TRAILER HITCH. KEYLESS ENTRY, PRIVACY GLASS, CHILD SAFETY LOCKS, ELECTRONIC STABILITY CONTROL, BRAKE ASSIST. OPTION PACKAGES ENGINE: 6.7L I6 CUMMINS TURBO DIESEL GVWR: 12,300 lbs, Current Generation Engine Controller, Diesel Exhaust Brake, RAM Active Air, Heavy Duty Engine Cooling, Capless Fuel Fill w/o Discriminator, Cummins Turbo Diesel Badge, Dual 730 Amp Maintenance Free Batteries, Supplemental Heater, Selective Catalytic Reduction (Urea), BIG HORN LEVEL 2 EQUIPMENT GROUP Rear Window Defroster, Cluster 7.0 TFT Color Display, Rear Power Sliding Window, Steering Wheel Mounted Audio Controls, Sun Visors w/Illuminated Vanity Mirrors, Footwell Courtesy Lamp, Glove Box Lamp, Integrated Center Stack Radio, Leather Wrapped Steering Wheel, Power Adjustable Folding Heated Black Tow Mirrors, 2nd Row In Floor Storage Bins, Dual Remote USB Port, Power Adjustable Pedals, Foam Bottle Insert (Door Trim Panel), Google Android Auto, Dampened Tailgate, Front Fog Lamps, 115V Auxiliary Power Outlet, 400W Inverter, For More Info, Call 800-643-2112, ParkSense Front/Rear Park Assist System, Radio: Uconnect 4 w/8.4 Display, Dual Glove Boxes, Rear Dome w/On/Off Switch Lamp, Universal Garage Door Opener, Air Conditioning ATC w/Dual Zone Control, TOWING TECHNOLOGY GROUP Power Adjustable Convex Aux Mirrors, Premium Power Black Tow Mirrors w/Convex Spotter, Trailer Reverse Guidance, CTR Stop Lamp w/Cargo View Camera, Mirror-Mounted Aux Reverse Lamps, Surround View Camera System, Blind Spot & Cross Path Detection, Premium Lighting Group, LED Taillamps, Front LED Fog Lamps, LED Reflector Headlamps All prices include all applicable rebates and incentives. Please confirm the accuracy of the included equipment by calling us prior to purchase. Turbo Charged..4X4.. TRANSMISSION: 6-SPEED AUTOMATIC 68RFE... BIG HORN LEVEL 2 EQUIPMENT GROUP, TOWING TECHNOLOGY GROUP, Trailer Hitch, DUAL REAR WHEELS. Granite Crystal Met. Clear Coat exterior, Big Horn trim. KEY FEATURES INCLUDE . 4X4. TRAILER HITCH. KEYLESS ENTRY, PRIVACY GLASS, CHILD SAFETY LOCKS, ELECTRONIC STABILITY CONTROL, BRAKE ASSIST. OPTION PACKAGES ENGINE: 6.7L I6 CUMMINS TURBO DIESEL GVWR: 12,300 lbs, Current Generation Engine Controller, Diesel Exhaust Brake, RAM Active Air, Heavy Duty Engine Cooling, Capless Fuel Fill w/o Discriminator, Cummins Turbo Diesel Badge, Dual 730 Amp Maintenance Free Batteries, Supplemental Heater, Selective Catalytic Reduction (Urea), BIG HORN LEVEL 2 EQUIPMENT GROUP Rear Window Defroster, Cluster 7.0 TFT Color Display, Rear Power Sliding Window, Steering Wheel Mounted Audio Controls, Sun Visors w/Illuminated Vanity Mirrors, Footwell Courtesy Lamp, Glove Box Lamp, Integrated Center Stack Radio, Leather Wrapped Steering Wheel, Power Adjustable Folding Heated Black Tow Mirrors, 2nd Row In Floor Storage Bins, Dual Remote USB Port, Power Adjustable Pedals, Foam Bottle Insert (Door Trim Panel), Google Android Auto, Dampened Tailgate, Front Fog Lamps, 115V Auxiliary Power Outlet, 400W Inverter, For More Info, Call 800-643-2112, ParkSense Front/Rear Park Assist System, Radio: Uconnect 4 w/8.4 Display, Dual Glove Boxes, Rear Dome w/On/Off Switch Lamp, Universal Garage Door Opener, Air Conditioning ATC w/Dual Zone Control, TOWING TECHNOLOGY GROUP Power Adjustable Convex Aux Mirrors, Premium Power Black Tow Mirrors w/Convex Spotter, Trailer Reverse Guidance, CTR Stop Lamp w/Cargo View Camera, Mirror-Mounted Aux Reverse Lamps, Surround View Camera System, Blind Spot & Cross Path Detection, Premium Lighting Group, LED Taillamps, Front LED Fog Lamps, LED Reflector Headlamps All prices include all applicable rebates and incentives. Please confirm the accuracy of the included equipment by calling us prior to purchase. Heated Leather Seats..PREMIUM SOUND SYSTEM....SATELLITE RADIO...IPOD/MP3 INPUT.. TRANSMISSION: 6-SPEED AUTOMATIC AISIN... ENGINE: 6.7L I6 CUMMINS HD TURBO DIES.....4X4.. Delmonico Red Pearl Coat exterior, Laramie trim KEY FEATURES INCLUDE . LEATHER SEATS. 4X4. PREMIUM SOUND SYSTEM. SATELLITE RADIO. IPOD/MP3 INPUT. MP3 PLAYER, DUAL ZONE A/C, PRIVACY GLASS, KEYLESS ENTRY, STEERING WHEEL CONTROLS. OPTION PACKAGES ENGINE: 6.7L I6 CUMMINS HD TURBO DIESEL GVWR: 12,300 lbs, Current Generation Engine Controller, 220 Amp Alternator, Diesel Exhaust Brake, RAM Active Air, Heavy Duty Engine Cooling, Capless Fuel Fill w/o Discriminator, Cummins Turbo Diesel Badge, Dual 730 Amp Maintenance Free Batteries, Supplemental Heater, Selective Catalytic Reduction (Urea), LARAMIE LEVEL 1 EQUIPMENT GROUP Foam Bottle Insert (Door Trim Panel), Ventilated Front Seats, Auto High Beam Headlamp Control, Rain Sensitive Windshield Wipers, 2nd Row In Floor Storage Bins, Radio/Driver Seat/Mirrors/Pedals Memory, Single Disc Remote CD Player, Blind Spot & Cross Path Detection, Power Adjustable Convex Aux Mirrors, Power Chrome Tow Mirrors w/Convex Spotter & Memory, Exterior Mirrors w/Memory, Mirror-Mounted Aux Reverse Lamps, Remote Tailgate Release, Power Adjustable Pedals w/Memory, DUAL REAR WHEELS Tires: LT235/80R17E BSW AS, GVWR: 14,000 lbs, Wheels: 17 x 6.0 Polished Aluminum, Clearance Lamps, Tire Pressure Monitoring Delete, 17 Steel Spare Wheel, 6000# Front Axle w/Hub Ext, Box & Rear Fender Clearance Lamps, TOWING TECHNOLOGY GROUP Power Adjustable Convex Aux Mirrors, Power Chrome Tow Mirrors w/Convex Spotter & Memory, Exterior Mirrors w/Memory, Trailer Reverse Guidance, Mirror-Mounted Aux Reverse Lamps, Surround View Camera System, TRANSMISSION: 6-SPEED AUTOMATIC AISIN AS69RC HD Chrome Accent Shift Knob, 12.0 Single Rear Wheel Axle, Transmission Oil Cooler. All prices include all applicable rebates and incentives. Please confirm the accuracy of the included equipment by calling us prior to purchase. Heated Leather Seats, NAV, Sunroof, Bed Liner..4X4.. Turbo, SAFETY GROUP, TRANSMISSION: 6-SPEED AUTOMATIC 68RFE... LONGHORN LEVEL 1 EQUIPMENT GROUP, TOWING TECHNOLOGY GROUP, Tow Hitch. Pearl White exterior, Longhorn trim KEY FEATURES INCLUDE . LEATHER SEATS. 4X4. HEATED DRIVER SEAT. HEATED REAR SEAT. COOLED DRIVER SEAT. MP3 PLAYER, ONBOARD HANDS-FREE COMMUNICATIONS SYSTEM, DUAL ZONE A/C, PRIVACY GLASS, KEYLESS ENTRY. OPTION PACKAGES ENGINE: 6.7L I6 CUMMINS TURBO DIESEL GVWR: 12,300 lbs, Current Generation Engine Controller, 220 Amp Alternator, Diesel Exhaust Brake, RAM Active Air, Heavy Duty Engine Cooling, Capless Fuel Fill w/o Discriminator, Cummins Turbo Diesel Badge, Dual 730 Amp Maintenance Free Batteries, Supplemental Heater, Selective Catalytic Reduction (Urea), LONGHORN LEVEL 1 EQUIPMENT GROUP Power Deployable Running Boards, Radio: Uconnect 12.0 w/Navigation, Ramcharger Wireless Charging Pad, SiriusXM w/360L, 17 Speaker High Performance Audio, Blind Spot & Cross Path Detection, 12 Touchscreen Display, DUAL REAR WHEELS Tires: LT235/80R17E BSW AS, GVWR: 14,000 lbs, Wheels: 17 x 6.0 Premium Aluminum, Clearance Lamps, Tire Pressure Monitoring Delete, 17 Steel Spare Wheel, 6000# Front Axle w/Hub Ext, Box & Rear Fender Clearance Lamps, POWER SUNROOF, TOWING TECHNOLOGY GROUP Trailer Reverse Guidance, Surround View Camera System, SAFETY GROUP Full Speed Forward Collision Warning Plus, Adaptive Cruise Control w/Stop, TRANSMISSION: 6-SPEED AUTOMATIC 68RFE Leather Wrapped Shift Knob. WHY BUY FROM US For over 35 years John Vance Auto Group has been a comfortable place to buy a car. Serving the Oklahoma City metro area and with 11 domestic makes to choose from we are sure you can find the next car, truck or SUV of your dreams. The John Vance Auto Group is located just minutes north of Oklahoma City in Guthrie All prices include all applicable rebates and incentives. Please confirm the accuracy of the included equipment by calling us prior to purchase. Heated Leather Seats, Sunroof, Navigation, Turbo Charged..4X4.. ENGINE: 6.7L I6 CUMMINS TURBO DIESEL, TRANSMISSION: 6-SPEED AUTOMATIC 68RFE... LIMITED LEVEL 1 EQUIPMENT GROUP, POWER SUNROOF. Pearl White exterior, Limited trim KEY FEATURES INCLUDE . LEATHER SEATS. 4X4. HEATED DRIVER SEAT. HEATED REAR SEAT. COOLED DRIVER SEAT. MP3 PLAYER, ONBOARD HANDS-FREE COMMUNICATIONS SYSTEM, DUAL ZONE A/C, PRIVACY GLASS, KEYLESS ENTRY. OPTION PACKAGES ENGINE: 6.7L I6 CUMMINS TURBO DIESEL GVWR: 12,300 lbs, Current Generation Engine Controller, 220 Amp Alternator, Diesel Exhaust Brake, RAM Active Air, Heavy Duty Engine Cooling, Capless Fuel Fill w/o Discriminator, Cummins Turbo Diesel Badge, Dual 730 Amp Maintenance Free Batteries, Supplemental Heater, Selective Catalytic Reduction (Urea), LIMITED LEVEL 1 EQUIPMENT GROUP Radio: Uconnect 12.0 w/Navigation, Full Speed Forward Collision Warning Plus, SiriusXM w/360L, 17 Speaker High Performance Audio, Adaptive Cruise Control w/Stop, Surround View Camera System, 12 Touchscreen Display, DUAL REAR WHEELS Tires: LT235/80R17E BSW AS, GVWR: 14,000 lbs, Wheels: 17 x 6.0 Polished Aluminum, Clearance Lamps, Tire Pressure Monitoring Delete, 17 Steel Spare Wheel, 6000# Front Axle w/Hub Ext, Box & Rear Fender Clearance Lamps, POWER SUNROOF, TRANSMISSION: 6-SPEED AUTOMATIC 68RFE Leather Wrapped Shift Knob. WHY BUY FROM US For over 35 years John Vance Auto Group has been a comfortable place to buy a car. Serving the Oklahoma City metro area and with 11 domestic makes to choose from we are sure you can find the next car, truck or SUV of your dreams. The John Vance Auto Group is located just minutes north of Oklahoma City in Guthrie, OK on I-35 exit 153. Come see why the John Vance Auto Group is a comfortable place to buy a car. All prices include all applicable rebates and incentives. Please confirm the accuracy of the included equipment by calling us prior to purchase.